And then there’ll be those experiences and attractions that they just might not get yet. 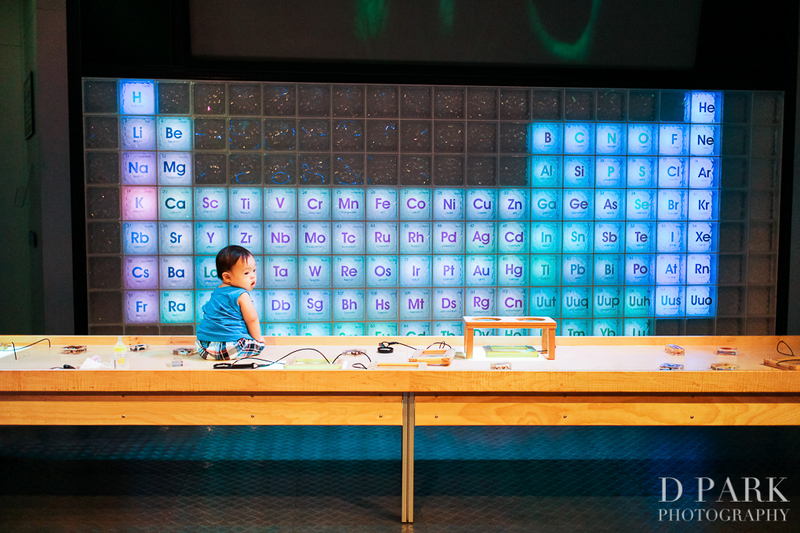 But, as your little one grows, there are plenty of amazing, stimulating, educational, adventurous places that even your baby will love. Air conditioning. Good view. Fast speed. Safe for the baby. This Disney classic is a good baby-safe and baby-fun ride. Ask the cast member to sit at the very front with the captain of the monorail for the best view and enjoy! Buckle up nice and tight or ride with them on your lap! This one’s stimulating and entertaining without being too loud or scary for most babies. This has great photo opportunities as well but don’t look back and photograph too long! It can be quite dizzying (plus Cast Members will tell you that you have to be behind the baby). Have someone else be on the carousel animal next to you and photograph. This one will be a hit even as they grow up! 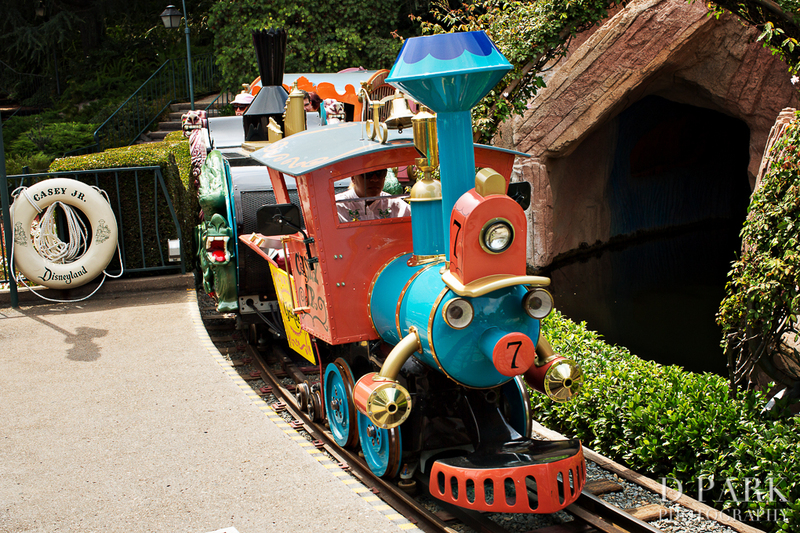 Ask a cast member to ride in the back – that’s our favorite! It gives your little baby an opportunity to “drive” the train too. This one is an eye catcher even for the newborns. Typically, very short lines, cool air conditioning, fun colors and environments – the only thing we’d warn you about is that the volume does tend to get too loud (for whatever unknown reason). Knightly couldn’t stand this ride without crying once when it got too loud ’til he was 6 months old. Now, he’s looking at EVERYTHING. It’s super cute. The #1 biggest hit with babies and parents alike – ‘it’s a small world’. 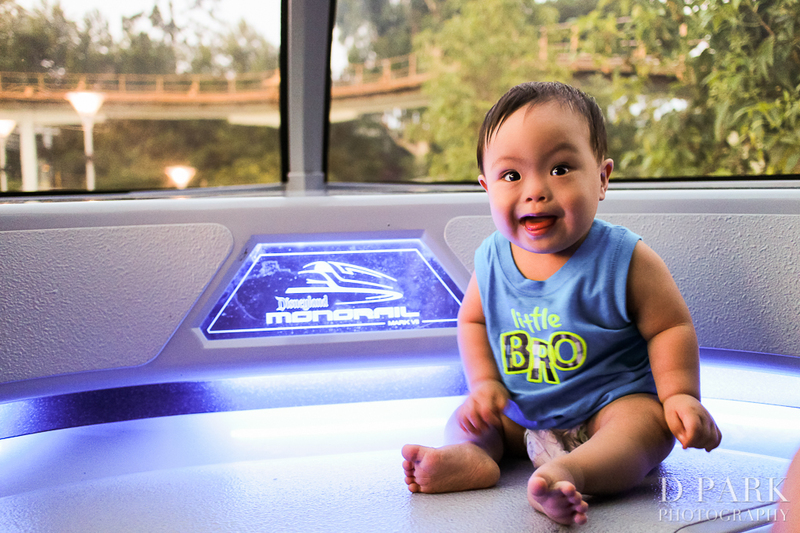 This ride has everything you want in a ride for your baby: cool air, slow speeds, entertainment, stimulating colors, visuals, and music at a comfortable volume. 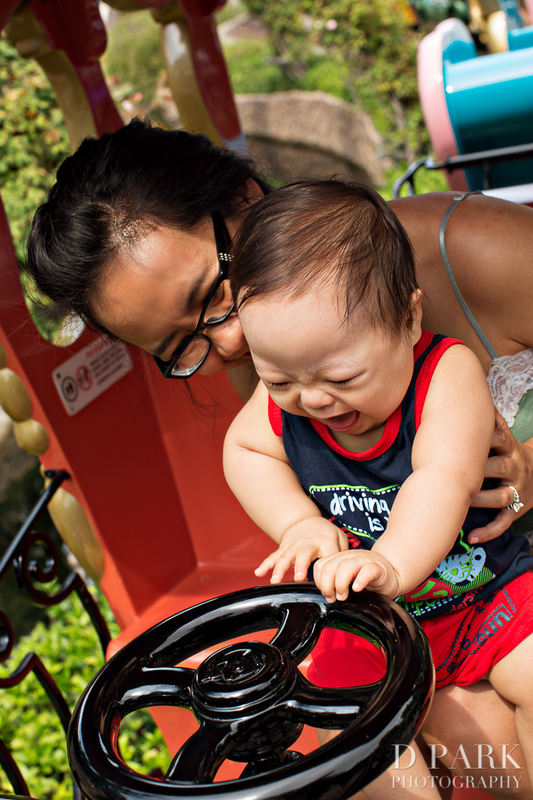 This one’s a definite hit as the 1st ride your baby ought to take on their 1st day at the happiest place on earth! The loud banging noises can really get your baby crying and it will take a LONG LONG walk (really even drive) to get far enough away to not be disturbingly loud for little ones. You may want to just hide in the hotels when these go on or just cover your baby’s ears so they can watch. 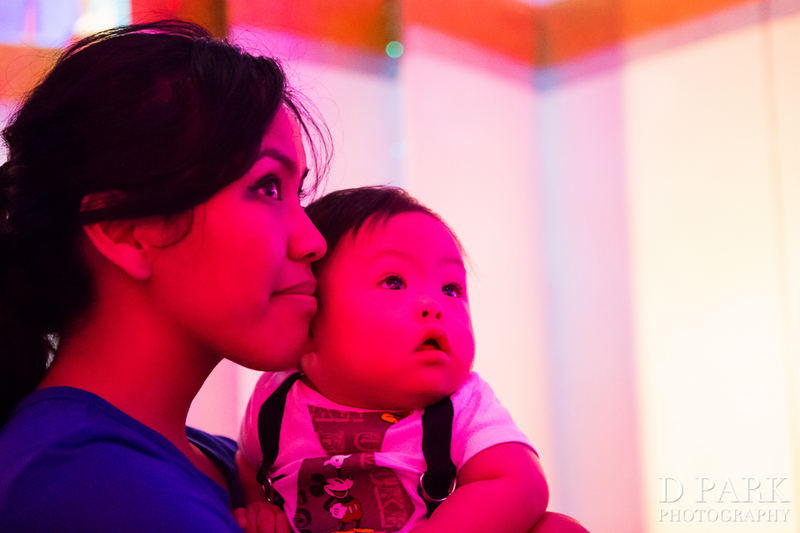 Those are our recommendations, but there is so much more that you and your baby can do! 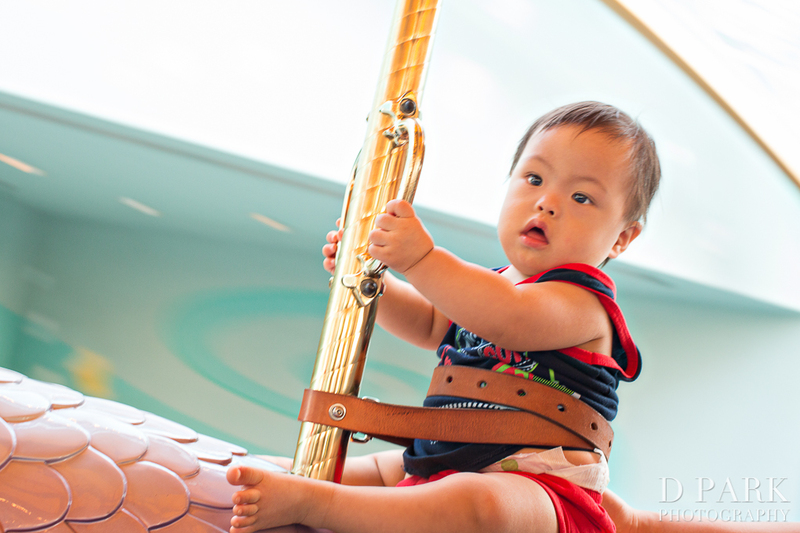 Attractions without Height Restrictions [Babies approved]! Disneyland Monorail | Tomorrowland | Ask to sit in front! This ride’s actually lots of fun especially for your babies that can sit right next to you and enjoy the ride! Haunted Mansion | New Orleans Square | Obviously, this ride can be dark and scary for babies, especially the initial lights going out and screams that can happen. But some babies can actually last. I’ve seen plenty cry for the beginning though. The Many Adventures of Winnie the Pooh | Slow, dark, indoor ride that has music a little too loud for my taste but if your baby isn’t sensitive to that, then you’re good to go! Mickey’s House and Meet Mickey | Toontown | Baby photos with Mickey! Minnie’s House | Toontown | Baby photos with Minnie! Pirates of the Caribbean | New Orleans Square | Small drops are enough to make babies cry but they’ll calm down and enjoy the rest of the water ride afterwards usually. It’s a nice long ride when you both want a break. OR too long of a ride if your baby isn’t into it. Bakery Tour | Boudin Bakery at Pacific Wharf | free bread! Character Close-Up | Hollywood Land | Baby photos! Princess Dot Puddle Park | A Bug’s Land | playtime with water! What if I want to ride other attractions my baby can’t go on? 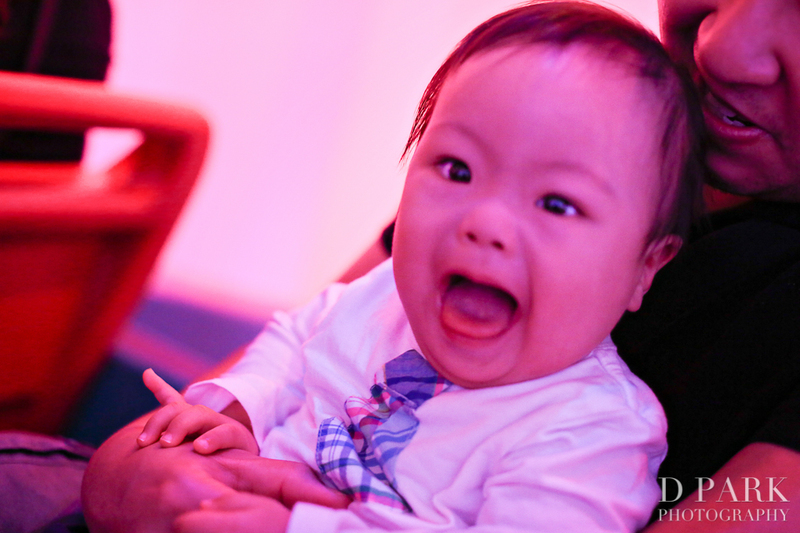 Tell the Cast Members that you’ll need to do a baby (or rider) swap and they’ll show you how. Usually your group will need to still wait in line, but once they get to the ride, you and baby (and whomever else in your group wants to) will wait as the first part of your group rides. Then, when they come back, one of them can hold your baby while the rest of you get to ride without waiting in line again! Don’t forget to get a FastPass when you can to avoid waiting in line too long anyway! Happy riding, everyone! 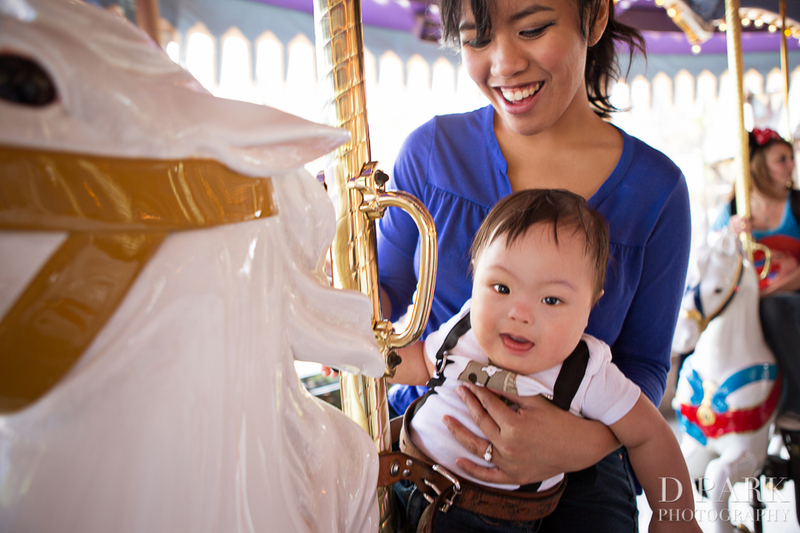 May you have many beautiful memories and moments with your baby at the Disneyland Resort. 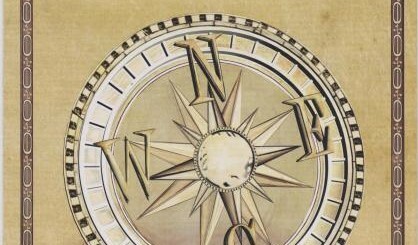 ‘Til our next adventure! Previous story Hercules, Tarzan, And More Now In High Definition.